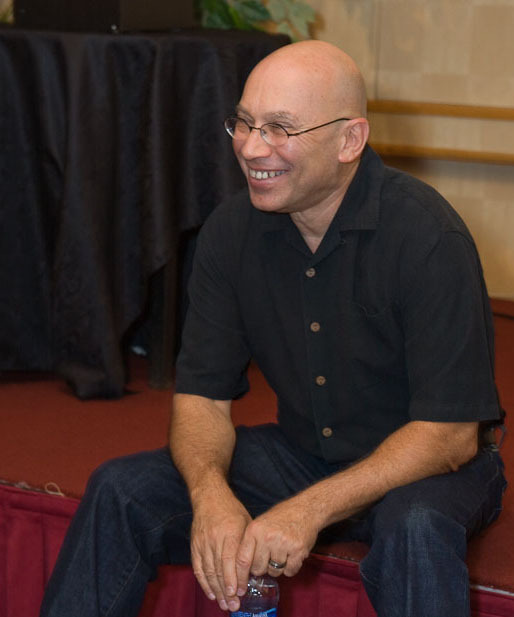 For over 34 years, individuals from all over the globe have made the journey to experience renown channel Darryl Anka as he brings through the remarkable multidimensional being from the future known as Bashar. Along with Edgar Cayce, Seth, and Abraham-Hicks, the Bashar material has been heralded as some of the most relevant, compelling and dynamic information delivered to the planet to date. 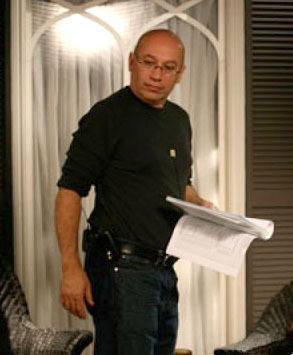 In addition to channeling Bashar, Darryl expresses his creative talents in the forms of writing, directing and producing films through his own production company, Zia Films. Darryl’s recent documentary, which he wrote, produced and directed, entitled First Contact explores his life as a channel and the messages Bashar shares through him. “First Contact” is now complete and ready to be released this Summer. To learn more about “First Contact” click here. On two occasions within the same week in 1973, I had close-range, broad-daylight sightings of UFOs with witnesses present both times. 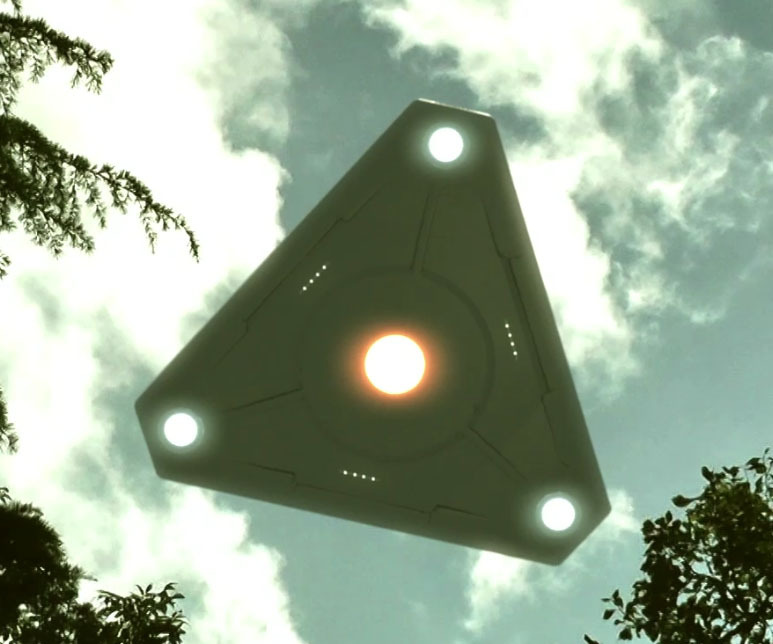 At each sighting we saw a dark metallic, triangular craft about 30 feet on each side. There were three blue-white lights, one on each -point-, and one orange-red light in the center. The craft in the first sighting was about 150 feet away; in the second sighting, only about 60 feet away. After seeing something that I knew could not be the product of Earthly technology, I was curious to find out all I could on UFO phenomena. I began reading everything I could find. Browsing bookshelves for UFO literature, I quickly discovered other books on different -paranormal- subjects, such as psychic powers, spirits and channeling. I read a few of these as well as UFO books so that I could broaden my research and acquire a greater understanding of the metaphysical field of knowledge. Ten years after the UFO sightings, I was introduced to a practicing channel. After several months of listening to the information delivered by the spirit entity being channeled through the person, I was amazed by the consistency and quality of the information I was hearing on a variety of subjects. Eventually, that entity offered to teach channeling to whoever wished to learn. This surprised me at first, as I had assumed channeling was not something that could be taught. Nevertheless, I joined the channeling class not intending to become a channel myself, but rather to learn more about the process by which this entity seemed capable of accessing volumes of information on endless subjects. Midway through the course, which contained many guided meditations and mental exercises designed to shift one’s consciousness to various states, I received what sounded like a telepathic message in my mind. I became instantly aware of three things: 1. The message was from an extraterrestrial consciousness that I was to call Bashar (the UFO I had seen was his ship), 2. A memory came back to me that I had made an agreement at some point prior to this life to channel him, and 3. That now was the time to fulfill this agreement, if I still felt like doing so. At first, I questioned this internal experience. Was I hallucinating? Was this some strange side effect of the meditations the class members had been given? 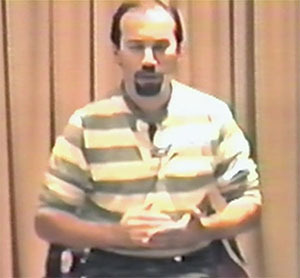 However, while I sat silently pondering some of these questions, the entity teaching the class became aware that I was communicating with something from another plane of existence. He urged me to trust it and learn to work with it. After thinking about it for a while, I decided to explore the possibility of letting this Bashar entity speak through me to see what would happen. I figured that even if it wasn’t really another entity, even if it was some mysterious portion of my own consciousness, the information that could be accessed through this channeling process could be used to help people make constructive and positive changes in their lives. Whatever the source, I decided to continue. I have now been channeling publicly since that time in 1983, and Bashar has spoken on a wide variety of subjects to thousands of people in cities throughout the United States, as well as Japan, Australia, New Zealand, Canada, England, Egypt, Greece, and the Czech Republic. 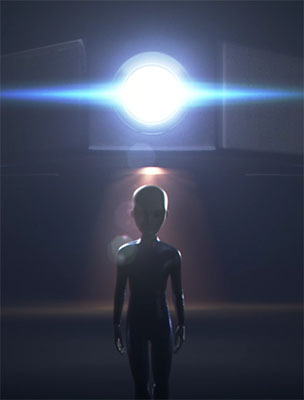 When the telepathic message first awoke in my mind, the word “Bashar” came along with it. I assumed this was simply the entity’s name. However, I came to realize, based on Bashar’s descriptions of his own society, that in their world they are all telepathic and do not use names as we do. Since he knew that we would need to call him by some name, the name Bashar was chosen. Bashar is an Arabic word, probably chosen because my heritage is half-Arabic, although I don’t speak the language. I had no idea what the word meant until someone fluent in Arabic told me it means “messenger,” or more specifically “bringer of good news.” Thus, while not literally his name, the word is certainly appropriate to what Bashar does. I always make it clear to people that they do not have to believe that Bashar is really an extraterrestrial in telepathic communication with me during the channelings. If they want to believe the words are coming from another part of my own consciousness, that’s fine with me. I have no way of proving Bashar’s existence to anyone anyway. The most important thing is that the information, wherever it’s coming from, has made a difference in many people’s lives, including my own.